A two page brochure describing InstallAware X2. A 20 page reviewer's guide, covering the newest and most exciting features in InstallAware X2. Answers to your most frequently asked questions on InstallAware X2. A quick look at the most compelling features in InstallAware X2. SAN FRANCISCO, CA--(Marketwired - December 03, 2014) - InstallAware is the leading Cloud Infrastructure Company, enabling the automated construction of advanced installers directly on the cloud for the next generation of app savvy users; the automated deployment of EXE or MSI packages across Active Directory networks for system administrators; and the industry's fastest installation/virtualization/repackaging solutions. InstallAware X2's new InstantInstall technology, built on top of InstallAware's own Native Code Setup Engine, dramatically accelerates setup speeds by an order of magnitude, providing the fastest Windows installation experience. InstallAware X2 matches this breakneck speed with the most attractive end-user experience -- new sliding and fading installation wizard animations please app-savvy users, improving the out-of-the-box experience for your customers, and making a positive first impression when it counts most. InstallAware X2 features a new advanced 64 bit compression engine, reducing app sizes by up to 90%; even beating the size of Microsoft's own installers when the same official Microsoft binaries are packaged with InstallAware. InstallAware X2 is also the first and only Windows Installer to ship with Windows 10 support and Visual Studio 2015 integration, automatically building setups (or virtualized applications) from Visual Studio solutions, and adding any necessary frameworks to the resultant setup solutions, such as the newly released Microsoft .NET Framework 4.6. InstallAware fully integrates with older versions of Visual Studio as well, including versions 2013, 2012, 2010, 2008, 2005, and 2003. 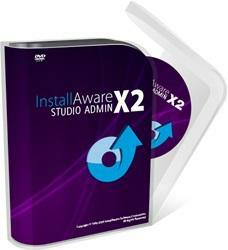 All of the above benefits are only available with InstallAware X2 at the time of this writing. Another unique InstallAware X2 innovation is pinning installed applications directly to the new Windows 10 Start Menu (next to the live tiles), or the Windows 8.1 Start Screen. While legacy products such as InstallShield claim this to be impossible, InstallAware has never been deterred by engineering challenges -- working harder to give developers every opportunity to help their apps shine. InstallAware X2 is now integrated with Microsoft Team Foundation Server, versions 2010, 2012, and 2013; providing automatic version control and source code security, as well as team collaboration opportunities for groups organized locally or distributed across the globe. Developers may use InstallAware X2 to build setups locally using InstallAware's high productivity IDE, or programmatically on the cloud using InstallAware's automation interface -- available for environments such as ASP.NET. System administrators may use InstallAware X2 to push setups across an entire Active Directory network -- without requiring any client or server software -- building their own app cloud for Windows. Although setup capture/repackaging and application virtualization are available, it is no longer necessary to convert EXE installers to MSI files; because InstallAware Direct Deploy technology is setup format agnostic and can deploy any third party installation without setup re-engineering. "I am pleased by the efforts of our engineering team which has made InstallAware the most stable, scalable, and attractive installer available for Windows today," says Sinan Karaca, founder of InstallAware Software. "InstallAware is indeed working very hard to bring the ease of use, speed, and visual appeal found in the mobile app eco-system to the Windows Desktop. I also thank our users, who have supported us loyally for the past decade; enabling us today to revitalize the entire Windows Desktop experience." InstallAware Software, founded in 2003, is the leading Cloud Infrastructure Company with its laser sharp focus on state-of-the-art software installations and bullet-proof enterprise deployments. InstallAware has been named a "Leader of the Software Development Industry" by SD Times two years in a row (2013 and 2012). InstallAware X2 is available in a free edition for all Visual Studio users and paid editions with prices starting at $329. For a fully functional 30 day trial and more information, visit www.installaware.com.